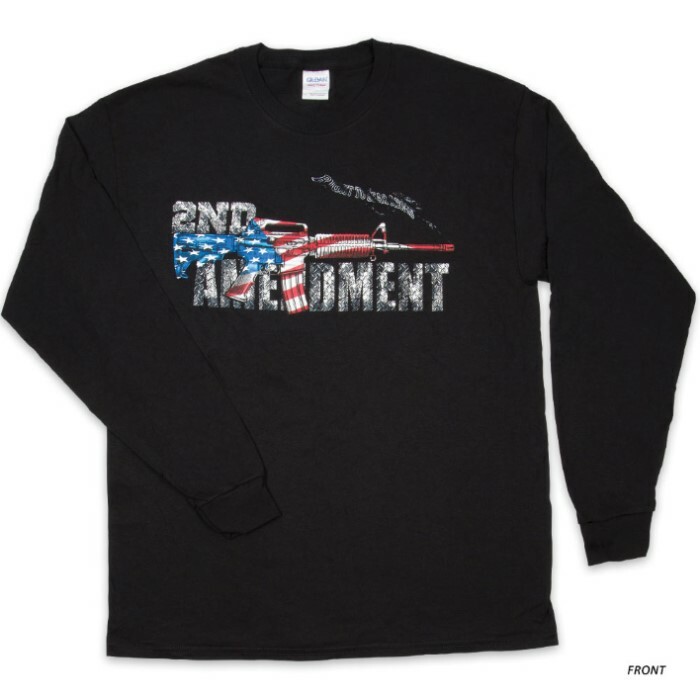 AR-15 Second Amendment Flag T-Shirt - Long-Sleeve | BUDK.com - Knives & Swords At The Lowest Prices! Our patriotic t-shirts are the perfect way to show your pride in your country! The vibrant screen printed t-shirts are 100% preshrunk cotton and are soft and comfortable to wear every day. They also feature a double-needle stitched bottom hem and sleeves and are taped shoulder-to-shoulder. 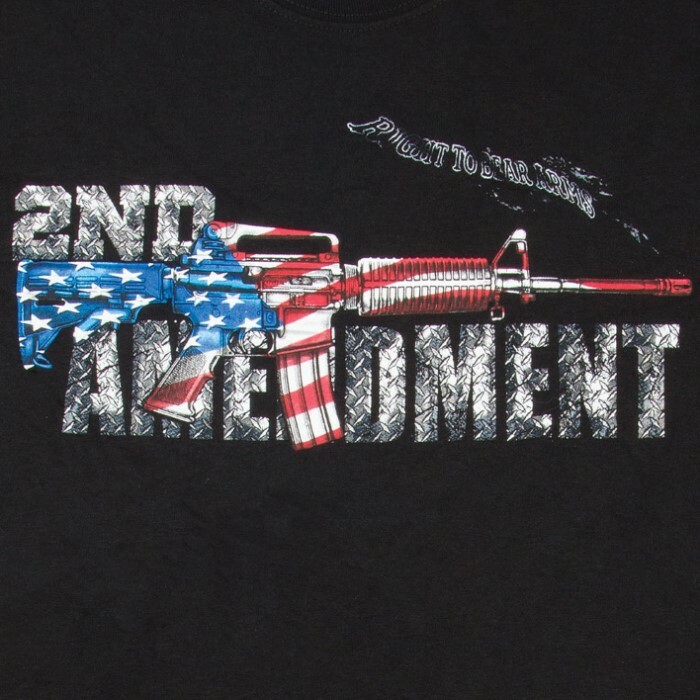 Our AR-15 Second Amendment Flag T-Shirt honors the Second Amendment with an American flag patterned AR-15 and the words “Right to Bear Arms” subtly done in an open font. 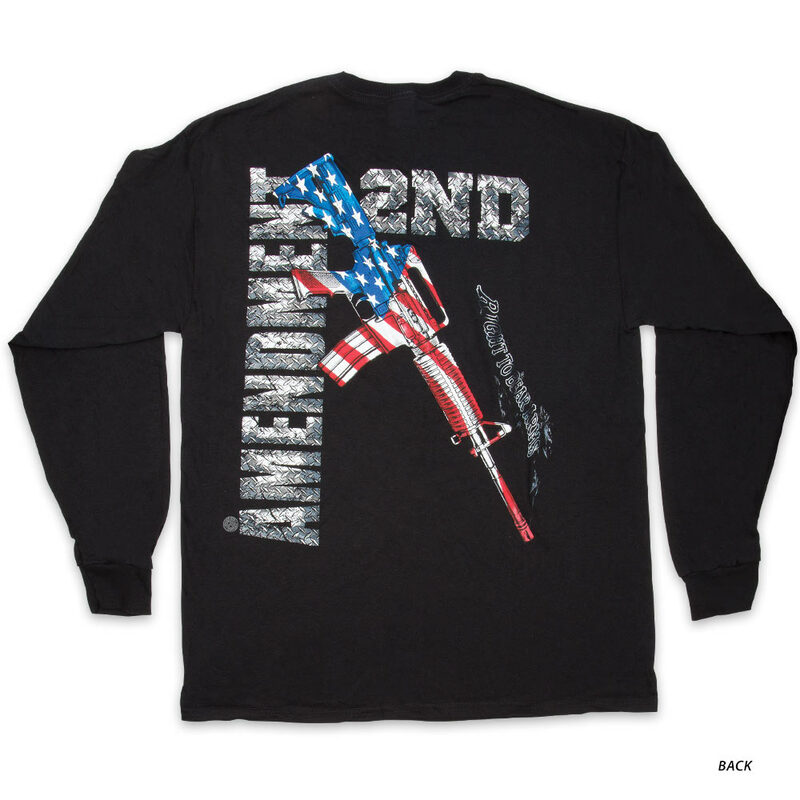 This striking heavy-weight, black long sleeve shirt has ribbed cuffs and a crew neck. This is a shirt you just can’t live without!